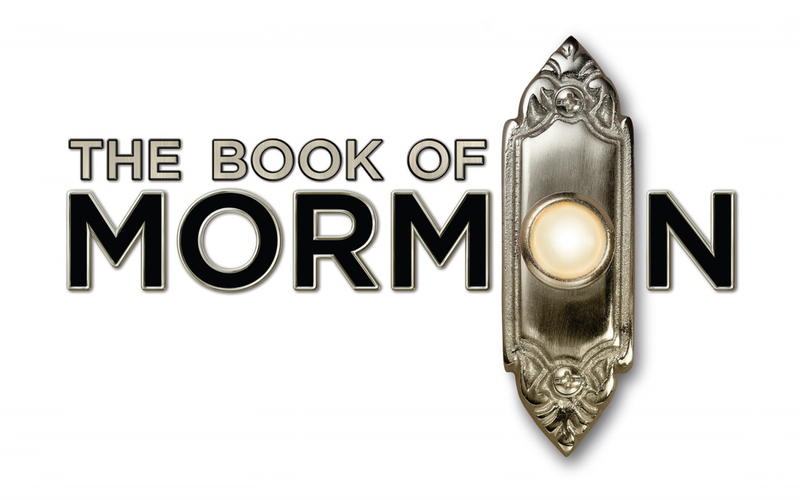 After nearly seven years of painstaking development, The Book of Mormon debuted on stage at Broadway’s Eugene O’Neill Theatre in 2011. Since then, it has had productions in London, Norway, Sweden, Australia, and recently, even Denmark. 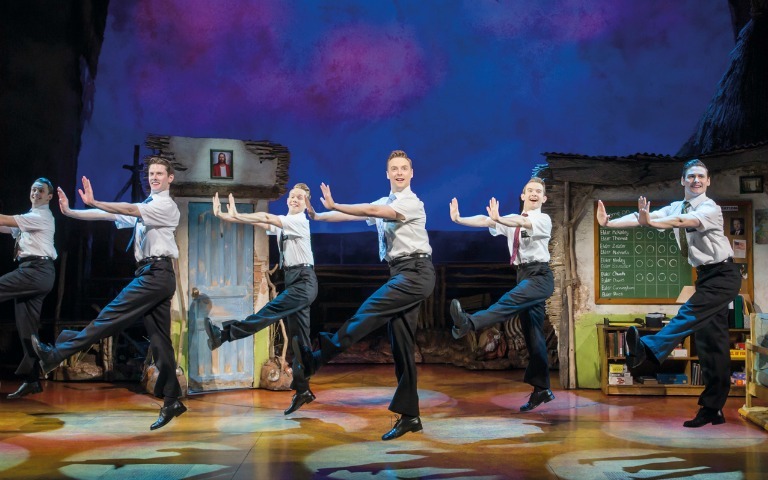 At the 2014 West End Frame Awards, The Book of Mormon was voted the Funniest West End Show. Directed in collaboration with Casey Nicholaw, the subtle references and zestful wordplay is bound to leave you in splits. 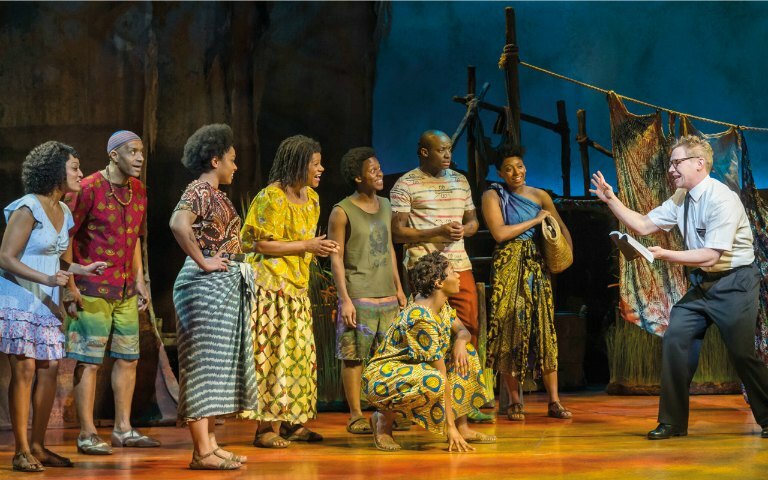 The score, orchestrated by Grammy, Academy, Emmy and Tony Award winning songwriter, Robert Lopez, along with the creators, is one the crowning achievements of this musical. The confluence of excellent music with a gleeful, albeit expletive-laden plot, is guaranteed to entertain you to the fullest. Elder Kevin Price and Elder Arnold Cunningham are missionaries sent to northern Uganda, to convince the population to take up Mormonism. 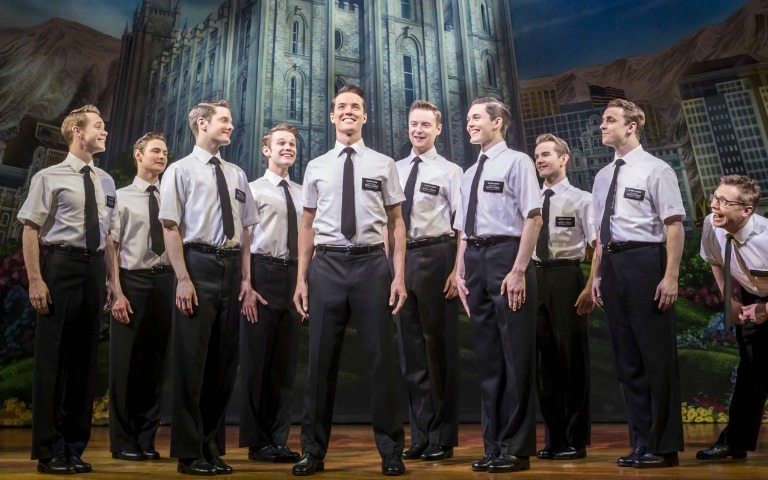 While Elder Price is an ardent devotee and poster boy for the LDS Church, also known as the Mormon Church, his accomplice, Elder Cunningham, is rather uptight and dishonest. On reaching the village in Uganda, the pair come to realise that the villagers are oppressed by a vicious warlord. Converting to a different religion was the least of their concerns. The execution of a villager in the hands of the warlord spooks the normally upbeat Price. He requests for a transfer back to Orlando, unceremoniously leaving Cunningham behind. Will the unlikely pair be successful in the endeavour that has taken them to an entirely different continent? Will their contrasting personalities and approaches prove to be too large a gap to bridge? The Prince of Wales theatre has a seating capacity of 1160. You can find the seating plan here. 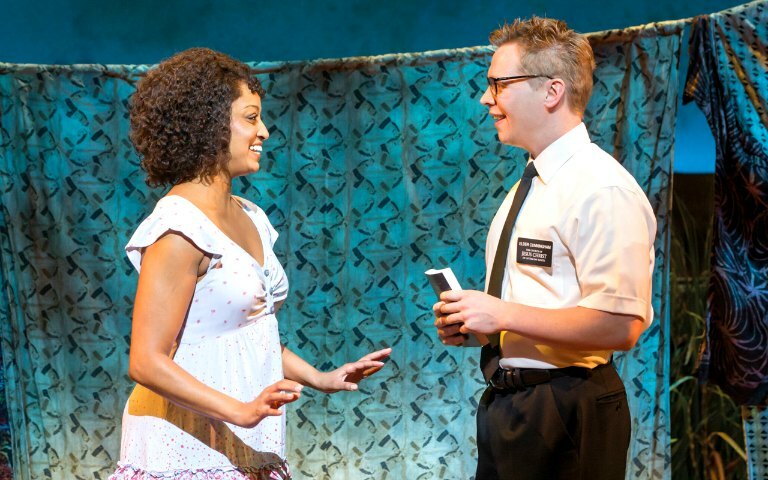 You will get an email confirmation with your The Book of Mormon voucher. Please display the same on your mobile phone with a valid photo ID.